Colin A. Yuhl is a consumer attorney specializing in the areas of Personal Injury & Wrongful Death, Labor & Employment, and Business & Commercial litigation. Mr. Yuhl represents injured victims of auto accidents, defectively manufactured consumer products, and unsafe drugs and other medical devices. He has substantial experience representing employees harmed by sexual harassment, race or gender discrimination, retaliation, and wrongful termination. He also works on behalf of individuals and businesses that have been harmed by fraud, unfair and unlawful business practices. This specialty includes litigating several complex class action matters. Mr. Yuhl began his career at the well-established defense firm of Haight, Brown & Bonesteel, LLP. While at HBB, he specialized in personal injury, business/commercial liability, and professional liability. Mr. Yuhl handled all aspects of litigation including discovery, extensive law and motion practice, depositions, mediations, pre-trial and even appellate practice. After several years of representing corporations and insurance companies, Mr. Yuhl joined Yuhl | Carr LLP in 2012. 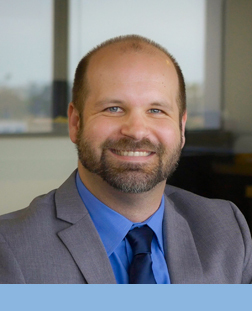 He gained invaluable experience working on the defense side, learning the techniques and strategies the insurance industry and its attorneys utilize against the same types of clients Mr. Yuhl currently represents. He now puts that knowledge to use, zealously advocating on behalf of his clients, who have been injured physically, emotionally, and financially, to ensure that his clients receive the protection and fair compensation they deserve. Each year since 2014, Mr. Yuhl has been selected to the California Rising Stars list by Super Lawyers. No more than 2.5 percent of the lawyers in California are selected by the research team at Super Lawyers to receive this honor. Mr. Yuhl is an avid sports fan, and enjoys traveling, surfing, martial arts, and watching UCLA, the Dodgers, Chargers, and his beloved Lakers.